A carbon fibre pod designed for the Hyperloop One. Was not used in the May tests. Credit: Hyperloop One. A senior British engineer has spoken of her cautious optimism at the successful testing of the futuristic evacuated tube transport system being developed by Hyperloop One. On May 12, around 200 engineers helped to successfully conduct the first system component tests in Nevada, USA, reaching the Phase 1 target speed of 70 mph. This included testing of the motor, vehicle suspension, magnetic levitation, electromagnetic braking and vacuum pumping systems on the high-speed ‘vactrain’. Hyperloop One is one of the companies pioneering the Hyperloop concept, which was first put forward by Tesla CEO Elon Musk in 2013. The company is aiming to design a transportation system that is capable of propelling pod-like vehicles at extremely high-speeds through reduced-pressure tubes using magnets and electric motors. Announcing the feat earlier this week, Hyperloop One called the test a ‘historic moment’ for what it describes as the first new mode of transportation in more than 100 years. But Philippa Oldham, head of transport and manufacturing at the Institution of Mechanical Engineers (IMechE), said that while successful testing must be an exciting time for the team involved, there are still many engineering problems to solve. She added: “However, as an engineer there still seems to be some gaps in the information regarding the risks and safety of the system itself. There remains a challenge of cost both in terms of design, production and maintainability with figures initially quoted from the team already escalating. “Building a sophisticated, evacuated tube system that is elevated on columns and aligned to a standard suitable for 700 mph operation will definitely be a challenge. “As the distance of the trials increase there will be many engineering problems to solve including that of managing track alignment. In the UK we would not be able to use any existing transport corridors at these speeds due to their lateral curvature. “In addition travelling at those speeds means that any fault in the system would mean everyone on board would die – just as you would at 60,000 metres if you were rapidly decompressed. The safety systems will be critical to this technology ever being viable. 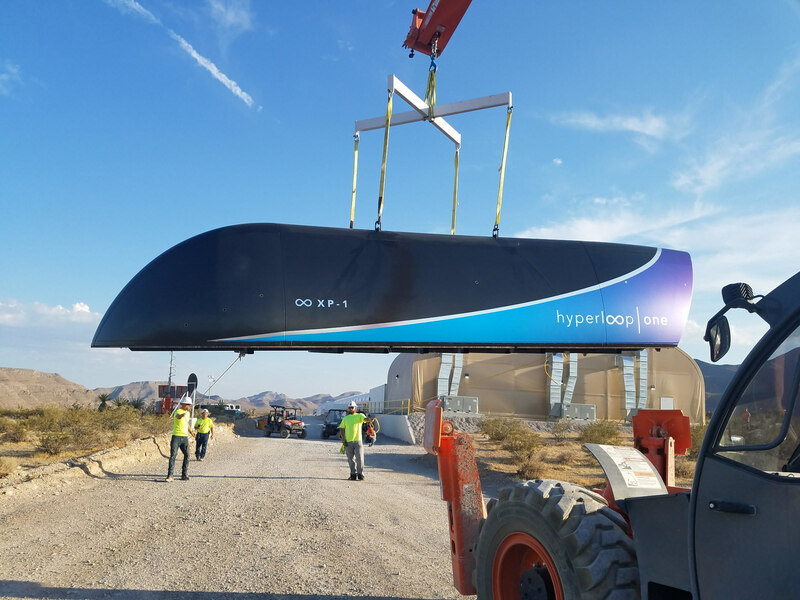 Hyperloop One is now entering the next campaign of testing, which will target speeds of 250 mph.